Cloud Atlas is the kind of film critics and movie lovers dream about. It is an ambitious, unapologetic exploration of what it means to be human. It’s Art with a capital A, and Film with a capital F. It is not just the best film I’ve seen this year, it is also one of the best films I’m seen in any year. I’ll put this right up front: I love this movie. I say this as quickly as I can because those who detest this film will come out with guns blazing. They will say the film is too long, or too silly, or too earnest. But their first complaint, the one I can anticipate easily, is this: Cloud Atlas tries too hard. And really, what a stupid complaint to make. In a cinematic landscape filled with films that barely try at all, that are perfectly happy following formula and meeting expectations, how can you fault a film for aiming high at all times? Anyone who calls themselves a film fan must be excited by what the Wachowski siblings and Tom Tykwer have cooked up here, pushing the medium to its limits while still crafting an incredible story from David Mitchell’s novel. Cloud Atlas spans time and space to tell the story of a handful of souls that continually bump up against each other in ways that ripple throughout human history, and the epic scope implied by that sentence is realized with all the visual splendor the Wachowskis and Tykwer are known for. Cloud Atlas is also filled to the brim with hope; but not the kind of hope that has been bought and co-opted by seedy politicians trying to win elections. Rather, this is the kind of hope you feel as warmth in the back of your eyes as your brain lights up with the possibilities the future holds. Those Cloud Atlas detractors I mentioned earlier will try to write it off as silly and overwrought, but my only reaction is a deep sense of pity. I can’t imagine being so cynical that I could deny myself this kind of beauty. Cloud Atlas will be seen as a landmark film, one of the greats of the early 21st century. This is cinema taking a massive leap forward, and I’m incredibly excited by it. Seeing Cloud Atlas now is akin to seeing Citizen Kane when it first hit screens. The rules have completely changed, and a new form of visual storytelling through film is at hand. I will be returning to the theater to see this one again and again. I suggest you do the same. Cloud Atlas is in theaters everywhere right now. 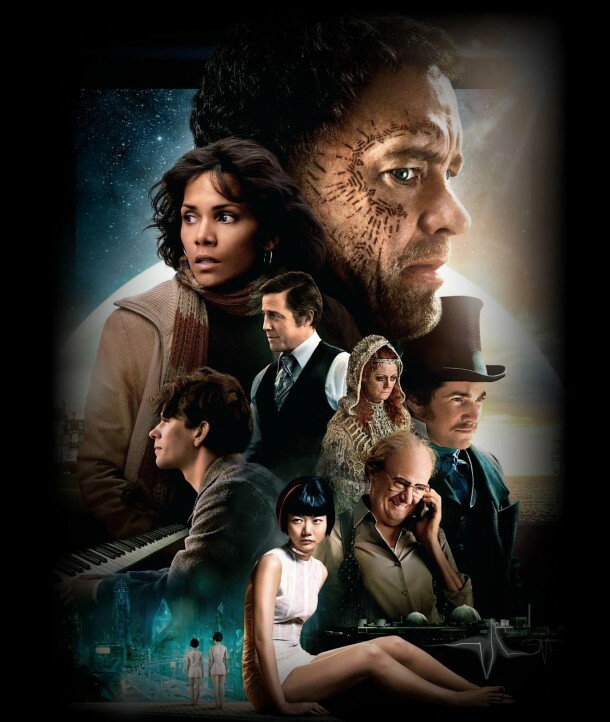 Comments for Review: “Cloud Atlas” Is The Great Cinematic Achievement Of 2012 are now closed.